Despite the penal laws the eighteenth century witnessed great cultural activity on the borders of South Armagh and North Louth. With the Irish social system broken by the defeats and Plantations of the 17th century and the princely families no longer available as patrons of the poets, the cultivation of Irish learning passed from the hereditary scholarly families into the hands of the common people. Manuscripts were copied by them, modern stories after the manner of the ancient epic tales were composed and a group of poets arose in this area who were able to hold their own with any contemporary group throughout Ireland. Of the Gaelic poets of Oriel the first to make his mark on Irish literature, and also the most gifted poet of the group, was Seamus Dall Mac Cuarta. Probably a native of the Omeath area, his earliest compositions date from just after the Boyne and	Aughrim and for the next quarter of a century he turned out some well-finished poems on contemporary events, on religious themes, on the great Gaelic and Anglo-Nor	, of the area and on his own blindness. As Mac Cuarta was not a native of Creggan we sh all not treat of his poetry in detail. But two poems of his are closely relate:	: parish, one written on the destruction of Glassdrummond Castle and the other written in praise of a member of the O'Neill family, its former owners, who had a distinguished military career abroad. Both poems have already been commented on in my history of the O'Neills of the Fews in Seanchas Ard Mhacha. The former poem cannot have been written until after 1711, the latter probably belongs to the 1720's, The poet died in 1732. Roughly contemporary with Seamus Dall Mac Cuarta was another blind poet associated with Creggan, the famous Randall Dall McDonnell. In the period before the Plantation of Ulster a branch of the McDonnell family had been long settled on lands between the modern Newtownhamilton and Markethill, and all the McDonnell families mentioned in the Hearth Money Rolls of the Barony of Upper Fews in 1664 are found in roughly the same area - in the townlands of Knockevannon, Outlacken and Lurgana and Tatri(?). These townlands are all in the ancient territory of Ballymoyer which belonged to the See of Armagh and the Primatial Rentals show the McDonnells still plentiful there until the early 18th century. If Randall Dall was a native of South Armagh, he probably belonged to this area, but I think it most unlikely that he was the Roland McDonnell of Knockevannon who appears in the 1664 Hearth Money Rolls, over fifty years before his distinguished poem on Creggan was composed. The circumstances of its composition throw some light on the exact location and dates of Creggan church. It was composed by Randall Dall on the occasion of the cutting down on 7th January, 1715 of a large tree which had stood for centuries near the altar of the old church and whose branches extended over the O'Neill vault. The poem, in its alternation of sections made up of rhyming couplets with passages of alliterative prose, bears a close resemblance to Mac Cuarta's poem on the destruction of Glassdrummond C astle and may even have borrowed some of its ideas from the latter. Randall Dall's poem has been the subject of much misinterpretation both by 19th century copyists and by later scholars. The poet blames moghaidh maor oibre do dhuine uasal airithe ata san tir for the cutting down of the tree and on the basis of this phrase alone Bennett asserted that the tree was cut down by Rector Moffey in 1715. Fr. Murray pointed out that there was never a Rector Moffey in Creggan and relegated :Moffey to the position of steward. But we see no reason for supposing the existence of a Moffey at all. The moghaidh of the poem need not be a surname but is more likely to be the poet's derogatory term for a servant (slave, serf). Elsewhere in the poem he calls him a Gall gan cheart ach neart (a foreigner with no right but might), and a dubhghall gruama (a dour black foreigner) but provides no other information to help us to identify him. Edward O'Reilly's Irish Writers, compiled in the early 19th century, while placing Randall McDonnell correctly around the year 1700, describes him as a `poet of the county of Donegal'. This is probably due to the fact that one of the songs attributed to him by Fr. Paul O'Brien began Beir beannacht go tapa uaim sios go Tir Chonaill. Another song attributed to him by Paul O'Brien is assigned by other Mss. to Mac Alindeln, O Doirnin fo a certain Aodh Og Mac Aodha (Hugh Magee). Another of his compositions begins A Thoirealaigh Ui Neill a ollaimh na dtead, apparently addressed to a harper. His participation with Linden in poetic attacks on the Meath poet Brian Cogan seem to rule out a Donegal residence in favour of Oriel. Hardly anything is really known about McDonnell's life but he was looked back to by later poets as one of the masters. Indeed Mac Cooey, in his elegy on the death of Art Og O'Neill, links Randall Dall with Mac Cuarta and Mac Alinden among the bards of the area who would have keened Art Og appropriately if they had only survived him. Also contemporary with Mac Cuarta and Randall Dall was Niall McKenna or McCann, described by O'Reilly as a native of the Fews, who settled later in Mullacrew, Co. Louth. To him are sometimes attributed the songs Sile Bheag Ni Chonallain and Farewell to Truagh. O'Reilly names only four of his compositions, two of which are love-songs. The vault of the O'Neills - the clan so often referred to in teh poetrv of the Fews. Mac Cuarta's best known contemporary among the Creggan poets, however, is undoubtedly Pddraig Mac Giolla Fhiondain, usually shortened in the Mss. to Mac aLiondain and often anglicized as Linden or Lyndon. It was he who wrote Mae Cuarta's grave-lay in 1733 through he survived the latter by only a few months. O'Reilly and O'Kearney both state that he was a native of the Fews and the latter places his birth around 1666. His mother was Siobhdn McArdle, daughter of Denis McArdle, and it was from her that he inherited his love of music and song. Linden was equally well known as a harper and a poet. Both Mac Cuarta and Mac a'Bheatha pay tribute to his skill as a harper and when Turlough O'Carolan paid a visit to Oriel, Linden like Mac Cuarta composed some verses in his honour. The friendship between Linden and Mac Cuarta has left us a number of lively dialogues between the two, in which Mac Cuarta defends Co. Louth and Linden, Co. Armagh. However, when Mac Cuarta was attacked by a Meath poet, Linden rushed to his defence. The blind poet was very dependent on Linden from the death of his two brothers in 1717 and in one of his last poems he announced that, in his will, Lindon was heir to all his wordly possessions. O'Kearney relates that Linden was better off than the average Catholic tenant of the 18th century Ireland and acted as patron for the other poets of the locality, holding frequent bardic contentions in his home and correcting the works of the others. For this reason he was known as Reacadoir na rnBard. Many of Linden's poems were collected and published in 1925-7 in An tUltach by Professor Eamon O Tuathail, but never appeared in book form until 1977, when they were edited by Dr. Joseph Ivlaguire, P.P., Downpatrick. He is a poet's poet rather than one for the ordinary reader, as his verses are full of learned references to the mythological heroes of old and his vocabulary is laced with words from the older literature. His best-known poem is his lament for Eoghan Rua O'Neill, but his dialogues with Mac Cuarta have occasional sallies of salty humour. He also wrote a poem in praise of Friar Patrick O'Quinn, guardian of the Friars of Armagh and Dungannon, whose chalice dating from 1760 was preserved in Cullyhanna church and with which I often said Mass. According to local tradition of a generation ago a Patrick Lyndon famous as a poet and harper lived in Lisleitrim at what was called Lyndon's hill, or Lyndon's garden. This tradition, however, probably refers not to the poet himself but to an equally gifted descendant who will be mentioned later. A historical novel set in the Creggan area round 1798 but never published, as far as I know, also mentions this Patrick Lyndon of Lyndon's Hill. According to tradition he was more interested in music than in his farm, which was ultimately lost, but a descendants used to return from Dublin occasionally during the 19th century. Linden was probably the only one of the Creggan poets who was given an unusual mark of recognition outside the circle of Gaelic scribes before the end of the 18th century. In 1791 Charlotte Brooke published her Reliques of Irish poetry and included one of his love-songs `Inion tais na mbanchioch is ailne na laeig i bhfuacht' with her own translation into English. The latter is really not a translation but a new poem of fifteen quatrains in the current romantic mode incorporating some of the ideas of the original. From Charlotte Brooke's collection the poem found its way into southern manuscripts. Another of Linden's poems 'Angelical maid, id'dhiaidh ni fada me beo was printed in J. C. Walker's Historical Memoirs of the Irish Bards (1786). Mac Alinden seems to have lived during the latter part of his life in the townland of Slieve, Parish of Faughart (?). He is reputed to have presided over poetry sessions held on Killen Hill, Or-Chnoc Chein Mhic Cainte. He died in 1733 and was buried in Creggan churchyard. No stone marks his grave and the actual spot is unknown. He was survived by a son and a daughter. The son Patrick was, like his father, a well-known harper. He is possibly the same Patrick Lyndon whom the famous harper Art O'Neill tried to persuade to attend the Belfast Harpers' Festival in 1792, though the dates are not easily reconcilable. Art gave him a suit of clothes for the journey, but Lyndon was so delighted with the transformation that he went to show himself to the neighbours and could not be found when O'Neill was ready to depart. Bunting's collection of Irish music names some tunes which he got from Patrick Lyndon in Newtownhamilton in 1802, presumably the same individual. In the next generation a Patrick Lyndon was schoolmaster in Creggan and taught the classics as well as the three Rs. Lyndon's daughter, Molly or Maire, was a poetess in her own right. O'Kearney attributes to her such well-known songs as Coillte Glasa an Triucha (The Green Woods of Truagh) and Dealramh an Lae (The Dawning of the Day). She composed a long welcome to Joseph Plunkett, of the Rocksavage (near Iniskeen) family, on his coming to live in Slieve about 1755 and an even longer elegy after his death in 1771. A few other compositions by her still lie unpublished in the Mss. When Lyndon died in 1733 his grave-lay was composd by another Creggan poet, Fergus Mac Bheatha (McVeagh). Several Mac Veagh families figure in the 1766 population list of Creggan but the poet probably belonged to the one which lived in Carron. This family had a reputation for Irish learning. It is possible that the Emunn occ McBheatha who signed his name on the front page of T.C.D. Ms. H.4.25 also belonged to this family, as the Ms shows a particular interest in the O'Neills of the Fews. Mac Bheatha was the name borne by a great Irish medical family of the latter medieval centuries, and one is not surprised therefore to find the obits of three medical men of the name of McVeagh on a tombstone in Creggan dating from the 18th century. One of them, who died in 1784, was named Fergus, and while his youth rules out the possibility that he was identical with the Gaelic poet, he was probably his nephew or grandnephew. With the deaths of Mac Cuarta in 1732 and Mac Giolla Fhionddin in 1733, the headship of the Oriel poets passed to Peadar O Doirnin. Creggan cannot lay claim to him, as he was probably born at Roskeagh in the parish of Faughart, but according to Graham's account of his life he taught school for a period at Loughross in Creggan parish until the enmity of Johnston of the Fews compelled him to fly. O Doirnin was a contemporary of the Carnally rapparee Seamus Mor Mac Murphy whose tragic execution gave rise to the finest of all our local songs and who also had a reputation as a poet. 1 have noticed only one song in the Mss. attributed to Seamus Mac Murchaidh, a nice little love-song, published by Henry Morris in Dha Chead de Cheoltaibh Uladh. Other contemporaries of O Doirnin among the poets and scribes of Oriel, were Eamon Og Mac Anaosa, Michael 6 hfr, Niall Gabha and Muiris Mac Gormain, but there is no certainty that any of these was born in Creggan and some of them were more closely connected with Forkhill. 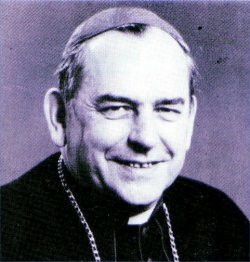 O Doirnin's bitter satire on the parish priest of Creggan, Fr. Terence Quinn (d. 1773) and the part played by the poet in bringing the complaints of the Creggan parishioners to the notice of Archbishop Blake probably played a big part in the transfer of Fr. Quinn to Tanderagee in 1767 and the Archbishop's attempt to divide the parish into Creggan Upper and Creggan Lower. It did not succeed until 1795. But one last tragic connection of the poet with this area cannot be overlooked. Graham's memoir of the poet states that his nephew (another 19th century account makes it his son), a poor deaf simpleton who used to peddle soft goods, was killed on the outskirts of Crossmaglen by the Dundalk Yeomanry in 1798. Perhaps the victim was really a grandson of the poet, a son of Tomas O Doirnin of Kilcurry, the friend of Teeling. Whatever the relationship there seems little doubt that he met his death cruelly on his way into Crossmaglen. When Peadar O Doirnin died at Forkhill in 1769, his elegy was composed by Art Mac Cooev. More than any other poet of the eighteenth century Mac Cooey is the poet par excellence of Creggan and of the O'Neill family of Glassdrummond. I have argued in my edition of his poems that he was probably not born until about 1738. Ballinaghy or Mounthill was his most likely birthplace and the walls of the house traditionally pointed out as his dwelling-place are still standing there. We know nothing of his formal education, but his poems show familiarity with Irish mythology and history as well as a deep acquaintance with the heroes of classical literature. According to local tradition the family holding in Ballinaghy was divided equally between Art and his brother Terence, but the poet squandered his portion and spent the rest of his life as a labourer and gardener. He was employed for some time by the Rector of Creggan, Rev. Hugh Hill (1728-73) but the opposition of the local parish priest, Fr. Terence Quinn, led to the poet's departure from Creggan. The bitter satire composed by Mac Cooey on the parish priest's sister because of her lack of hospitality to him has usually been represented as the cause of the parish priest's hostility but it would seem that there was much more to it than that. Art wished to marry a cousin of his own and as the Parish priest refused to perform the ceremony, the poet had it carried out in the Church of Ireland by Rector Hill. Marriage within the forbidden degrees of kindred without a dispensation incurred an ipso facto excommunication, and Fr. Quinn solemnly `excommunicated' the unfortunate poet. He was ostracized by his neighbours and went off to Howth where he obtained a job as a gardener. Through the good offices of Fr. Laurence Taaffe, P.P. Kilkerley and Vicar General of Armagh, who must have removed the excommunication and granted the young couple a dispensation to marry, Mac Cooey was enabled to return to Creggan and spent his last years as a herd on a farm in Tullyard. He was only thirty-four when he died on 5th January, 1773. During his last years he was heavily addicted to drink and all sources agree that it contributed to his early death. He was buried in Creggan graveyard but no stone marked his grave until the erection by Eigse Oirialla in 1973 of a granite cross with embossed plaque in bronze by the well-known Dublin sculptor, John Behan. About twenty-five of Mac Cooey's poems in Irish have survived. They were first collected and edited by Enri C) Muirgheasa in a volume published in 1916 and were reissued in two volumes in 1925. A new edition by the present writer, with some extra pieces from Mac Cooey's pen, was published for the second centenary of the poet's death in 1973. Many of his poems were obviously meant to be sung rather than recited, and the best-known among them, Urchill an Chreagain, remained a very popular song in South Ulster as long as part of the population was Irish-speaking and is now heard on concert platforms all over the country. is an Feadh ag geilleadh doibh in or 's i tnaoin. And the Fews sustained them with gold and beast. The bells for my interdict ringing. History has a peculiar way of taking its own revenge even after centuries. In all the long history of the parish it is the voice of this ragged singer, remembered till the early 20th century as Art an gCeoltai, with his weakness for the girls and the bottle, that has made the name of Urchill an Chreagain known throughout Ireland. Many of his own contemporaries despised him, but two centuries later the people of Creggan ensured, by their enthusiastic support for the events in commemoration of his centenary in 1973 that his grave would no longer remain unmarked or his memory wither and die like the crumbling walls of his former habitation. But he was a Meath man by birth, the grandnephew of the great harper Turlough O'Carolan, and Creggan could claim him only as a bird of passage. Then he decided in his thirties to study for the priesthood and after a period in France entered the newly established college of Maynooth in 1801 as a student for the diocese of Armagh. But he never returned to work in the north, as even before his ordination he was appointed to teach Irish in the new college from 1802 on, and ultimately became its first Professor of the Irish Language (1804-1820). The poems from his pen which survive in manuscript have been published by Enri O Muirgheasa in Amhrain na Midhe. Some of them have the freshness and natural lilts of a country boy in love with the landscape, the hunt, the mountains and rivers; others are the more contrived and stilted outpourings of the scholar, stamped deeply with his reading of ancient literature. He had an unrivalled knowledge of the literature of previous centuries and O'Reilly's Irish Writers would be a much thinner volume had its author not been able to use the material supplied, for so many of the 18th century poets by the former teacher of Culloville. On his death in 1820 Fr. O'Brien was mourned in several elegies in Irish, one of which was written by a poet then resident in Dundalk, Seamus Mac Giolla Choille (James Woods). Woods was born at Loughross about 1758 and had originally the intention of becoming a priest. No doubt he went to one of the Irish colleges on the continent with this in view, and it is just possible that he is identical with the James Woods who matriculated as a student of the University of Louvain on 15th January, 1772. Admittedly, the dates would leave him very young at the time but O'Kearney's date for his birth is only an approximation and may be a couple of years too late. The Louvain student belonged to the College of the Lily (le Lis), one of the four colleges which formed the central core of the university, and he was registered as a student in philosophy. Being registered as a `pauper' he would have been dispensed from matriculation fees and probably from other expenses as well. Due to ill-health Woods gave up the idea of becoming a priest and returned to Ireland. His father died in 1778 and his mother five years later. The monument erected by their son over their grave in Creggan may still be read today. Woods then seems to have taken up the study of medicine and probably became apprenticed to a doctor or chemist in Dundalk. He was registered as a student of Apothecaries Hall, Dublin, on 16th November, 1792 and appears in the records of that institution during the following year as well. It was possible in those years to qualify through Apothecaries Hall for the award of a certificate which entitled its holder to set up as a medical practitioner- hence the title Doctor Woods or Surgeon Woods by which he was later known may not be exaggerated. His proper title was that of Apothecary, and this is the one given to him on his wife's tombstone in Dundalk. Woods spent the remainder of his life there. He married Anne Tyrrell, a Protestant lady much younger than himself, who survived him by over thirty years. As well as composing some poems in Irish himself he copied several manuscripts in that language and was responsible for organising the famous Iomarbha or Bardic Contention in Dundalk in 1826, though then upwards of seventy years of age. He died on 6th January, 1828 and was buried in Creggan, presumbly in his parents' grave. Wood's poems have been collected and edited by Seosamh O Duibhginn in 1972. They are only ten in number and display the wide reading of the scholar more obviously than the inspiration of the poet. In addition to his elegy on the death of Paul O'Brien they include his long elegy on Art Mac Cooey, spoiled by a parade of classical learning and overuse In the generation after Mac Cooey the Gaelic poets of Creggan were strangely silent. of adjectives in praise of the deceased. Two other contemporary figures, Patrick Dowdall True, the famous and lovable Paul O'Brien taught school for a while during the 1780's in	(d. 1823) and Daniel McNaul (d. 1822) are the subjects of further elegies. There is a welcome-home addressed by him to Archbishop Patrick Curtis who was appointed Archbishop of Armagh in 1819. His other poems are connected with the Dundalk Bardic Competition of 1826 and were composed on the subjects set for the competition - a welcome to O'Connell and a welcome home to Barty Callan of the parish of Kilkerley who had to lease Ireland in 1798 and did not return until 1825. ,,lost of these poems were composed during the last decade of his life, and the one or more surviving Mss. from his pen date from the same period. Some time before his death Woods began a project for the erection of monuments to the poets of Oriel but death cut short his plans. He would surely have been pleased with the work in recent years of Eigse Oirialla which has already published the poetry of (and in some cases erected monuments to the memory of) Peadar O Doirnin (1969), Seamus Dail Mac Cuarta (1971), Art Mac Cumhaigh (1973) and Cathal Bui Mac Giolla Gunna (1975), Padraig Mac Giolla Fhiondain (1977), Art Mac Bionaid (1979) and has also commemorated Peadar O Dubhda (1981), Lorcan O Muireadhaigh (1983) and Aodh Mac Aingil (1985). While the composition of original verse in Irish was continued in Oriel until well into the nineteenth century by the Meath men Peter Galligan and Hugh McDonnell, by the Louth man Nicholas O'Kearney and even by the Forkhill scribe Art Bennett, Creggan had no 19th century poets of the broad interests and versatility of these four. That is not to say that creativity in the Irish language vanished from the parish overnight. A few further Mac Cooeys were composing in the early 19th century. Toirealach or Terence Mac Cooey of Mounthill (who may possibly have been Art's younger brother but was more likely his nephew) is assigned at least three poems in the Mss. - a praise-poem in tribute to Fr. James McShane of Glassdrummond, a long elegy on Patrick Dowdall of Mounthill who died in 1823 (the latter who was married to McShane, also received an elegy from Woods) and a tribute in verse to a Dundalk lady, Nelly Kieran. A certain Patrick Mac Cooey figures as the author of a very polished poem in praise of a girl (name unknown) which is found in a manuscript with date 1826. And Arthur Mac Creesh, a tailor by profession, wrote some simple songs, including one in praise of Nelly McKeown of Kilkerley who was also the subject of a praisepoem by Woods. Finally, Eamon Mac Cooey of Cortial near Knockbridge is described in 19th century Mss. as author of 'The Rosary in verses', a religious poem with one verse for each of the 15 mysteries. But the parish's best Gaelic scholar of the period - though he was satisfied for the most part to copy or translate the work of others - was undoubtedly Fr. Patrick Lamb. A native of Mounthill he served as curate in Lower Killeavy during the 1830's and early 1840s and was P.P. of Creggan Lower until his death on Low Sunday 1860. He is buried in Crossmaglen graveyard behind the church. He was indefatigable in searching for information on the poets of the eighteenth century and for copies of their writings. If a fair share of their poetry has come down to us and some basic facts about the poets themselves, it is due in no small measure to the work of Patrick Lamb and his fellow-copyist and friend from the neighbouring parish, Art Bennett of Ballykeel. Actively encouraged by Robert McAdam of Belfast they ensured that the poems of Mac Cooey, O Doirnin MacAlinden and the rest would be written down in manuscript and thus preserved for posterity. Chicago, University Library: Collection of poetry, religious texts, grammar etc in the hand of Fr. Felim O'Neill, O.F.M. Written about 1730's. Belonged in 19th century to historian John D'Alton and passed in 1924 to Fr. Dinneen and then to the Chicago businessman John M. Smyth, who presented it to the Library there before 1930. Belfast, St. Malachy's College: Collection of romantic tales copied in 1859 by Art Mac Bionaid from a Ms. written in the second half of the 18th century by "Brian Beag McArdle of Moybawn" and "Michael Brady of Courtbawn", (together with 'Michael Connery of Richardstown). The original Ms. seems to be lost; the copy formerly belonged to Fr. Luke Donnellan (Don.4). Maynooth, St. Patrick's College Library: F.1. : Life of St. Patrick copied by Thomas Conlon, Cregganduff, 1795. The Ms. was being thrown out with a box of rubbish in Carrickmacross in the 1940's and was salvaged by Canon A. H. Boylan, P.P., Ivlagheracloone. He sent it to Fr. Pat Mulligan, later Bishop of Clogher, who gave it to me. I put it in Maynooth Library and it was catalogues by An tAth Padraig O Fiannachta in part VI of the catalogue of Maynooth Mss., P. 132. Dublin. University College, Morris Collection: No. 18: Written by James Woods (from Loughross) in Dundalk in 1822 and later. It contains local poetry, including several pieces by Woods himself. The Ms. came into the possession of Henry Morris early this century and passed to U.C.D. Library after his death. Cambridge, University Library: Add. 4436 (E), a large volume written by Patrick Lamb in 1825 before his ordination. It contains Ossianic and Ulster poetry. It was purchased in Limerick by Rev. P. Power, the well-known Waterford archaeologist, early in the present century and described by him in the Gaelic Journal in 1904. It was purchased by Cambridge University Librarv from James Duffy and Co. in 1907. Maynooth, St. Patrick's College Library: Don 11: Copy of Scathan Sporadalta an Anmama (The Spiritual Mirror of the Soul), in Irish and English, in the hand of Patrick Lamb. The Irish translation was made by Fr. Lamb himself when he was curate in Lower Killeavy and it was completed before 14th August, 1839. There are a few other short religious texts in the Ms. It was acquired by Fr. Luke Donnellan (1878-1952) early in the present century and with his other Mss was presented to St. Patrick's College, Armagh when he was P.P. of Loughgall. In the middle 1970's I arranged to have the Donnellan Collection transferred on permanent loan from Armagh to Maynooth. (1) Several Mss. written by Art Mac Cooey were used as packaging material in a shop kept by Tom Lamb in Mounthill during the 19th century and not a single Ms. written by the poet now survives. (2) Mss. written by Patrick Lamb were used in the same shop to paper soap, candles and groceries. (3) The Mss. of Hugh Kelly- (1785-1864) were destroyed after his death. (4) Owen Harte of Ummericam who died in the 1880's left several Mss. which were allowed to remain on the top of a dresser till they rotted away with dampness. (5)	A Ms. belonging to Mrs. Rooney, Tullinavall, sister of the famous 19th century Latin teacher of the area, Big Joe Mackin, survived till the beginning of the 20th century and then disappeared. (6) A Ms. which belonged to Fr. Loy, P.P., Ballymacnab, a native of Creggan Lower, was destroyed in Cregganduff at the beginning of the 20th century. (7) A few years later another Ms. was burned in a house in Cavanakill, near Newtownhamilton. (8) In the spring of 1902 the new owners of what had formerly been the residence of Fr. Patrick Lamb, threw into a dunghill four basketfulls of Irish Mss. which had been found in the house. (9) In summer 1907 a Crossmaglen fowl-dealer purchased a trunk of old books at an auction. Among them were several Mss. bearing Art Mac Cooey's signature, but as the purchaser was unable to read these, they were given to the children as playthings and destroyed. (10) Early in 1911 Lamb's Ms. history of the families of Creggan parish was discovered in his former residence in Cullyhanna. It was torn up and burned by children a few weeks after being found. (Many of the items in this list are taken from the notes of Hugh Kelly of the Slatequarry, C ullyhanna, an indefatigable collector of local traditions in the early years of the present century). He also states that after Fr. Lamb's death many of his Mss. came into the possession of a Fr. Malone in Belmullet, Co. Mayo and that a large Ms. of Fr. Lamb's was on sale in Dublin in Summer 1901 for E4). Despite the loss of so much, what remains is still an invaluable source of information on life in the parish during the penal times. It has the advantage of being material which came from the people themselves rather than having been written about them by outsiders; and our only regret is that its range is not broader. Through this poetry we get an insight, though admittedly a highly subjective one, into the personal qualities of penal-day priests like Fr. Felim O'Neill and Fr. Terence Quinn and Fr. John O'Hanlon; we observe the priest visiting his parish on horseback and being paid his dues in kind - potatoes, butter, linen, cloth and yarn. We notice the contrast between the living conditions in the big house whose inhabitants had silks and satins and lace and the smokev cabin of the cottier whose wife went barefoot. Drink occupies a large corner in this poetry just as it figured largely in the lives of both rich and poor in the 18th century. Betty Markey's alehouse at Drumbilla and Dullaghan's in Tallanstown, where the Cregganmen used to congregate on their way home from harvest work in Co. Meath come to life again in the verses of Mac Cuarta and Mac Cooey. We would know nothing of Patchey Murphy's part in the destruction of Glassdrummond Castle, or of Fr. Quinn's residence in Crinkill or of the exact date of Art Og O'Neill's death or of the very existence of such people as Cavanagh the doctor, and Daniel McNaul the Irish scholar, were it not for these poems. They are a precious legacy from a dark period in our history, the defiant voices of a few lone singers who articulated the joys and sorrows of the common people at a time when most of the latter were reduced to silence and despair.